A group of Hindu fundamentalists, led by the local coordinator of the Bajrang Dal, interrupted a Bible studies session in Sehkari Nagar: they did not spare even the pastor’s young daughter. The attackers destroyed the cross on the church roof and hoisted the orange flag, symbol of Hindutva. Christian activist: "The state must do something." Mumbai (AsiaNews) - A mob of Hindu fanatics attacked the Pentecostal Church of the Nazarene and the faithful gathered inside. The assailants, armed with hockey sticks and mason's hammers, interrupted a bible studies session, beating up the pastor RC Paul and some Christians who were trying to protect him. Even the pastor's young daughter was attacked. The incident occurred at Sehkari Nagar, Bulandshahr, in the Indian state of Uttar Pradesh on July 16. The attack was reported to AsiaNews by Sajan K. George, president of the Global Council of Indian Christians (GCIC). Not content with the beating, the fanatics - belonging to the Hindu radical right - left the church to demolish the cross on the roof. In its place, they hoisted an orange Hindutva flag. 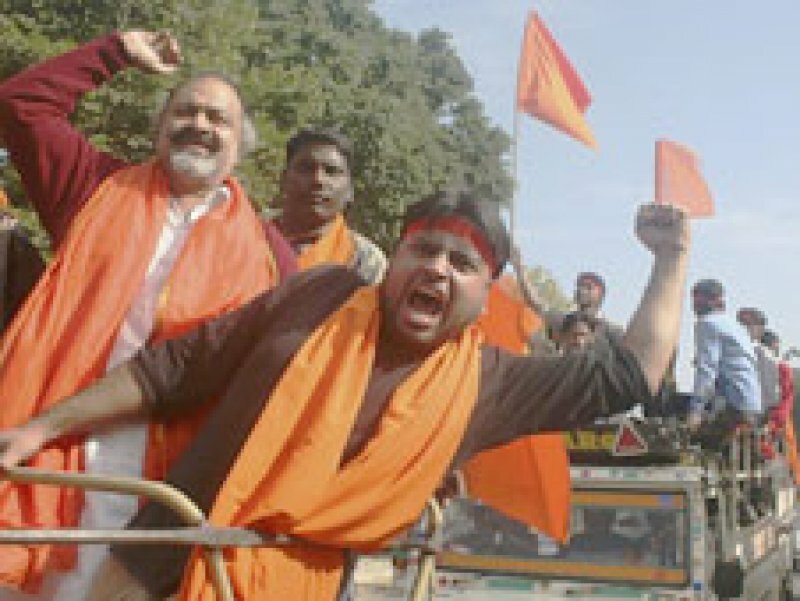 They were led by Hemant Singh, the local coordinator of the Bajrang Dal (Hindu extremist group): the police, who arrived two hours after the incident, arrested 14 people but released 12 soon after. Hemant Singh and Yogendra Kumar are still being held for questioning. Sajan George told AsiaNews: "The situation in Uttar Pradesh is alarming. The tiny Christian community that lives here is very vulnerable to attacks, which are never provoked, from Hindu fundamentalists. These people take the law into their own hands and attack the faithful , places of worship and religious functions. The Church of the Nazarene has been here since 1991 and has always given help and hope to the people. " Christians, says the activist, "are attacked even in their private homes. They are not doing anything illegal or unconstitutional, but are beaten in hatred of the faith. The Global Council of Indian Christians appeals to the National Commission for Human Rights: do something against the growing intolerance that affects the Christian community and the faithful, give security to them and their places of worship".